McEvoy Mitchell Racing is an employer for opportunity and building careers. 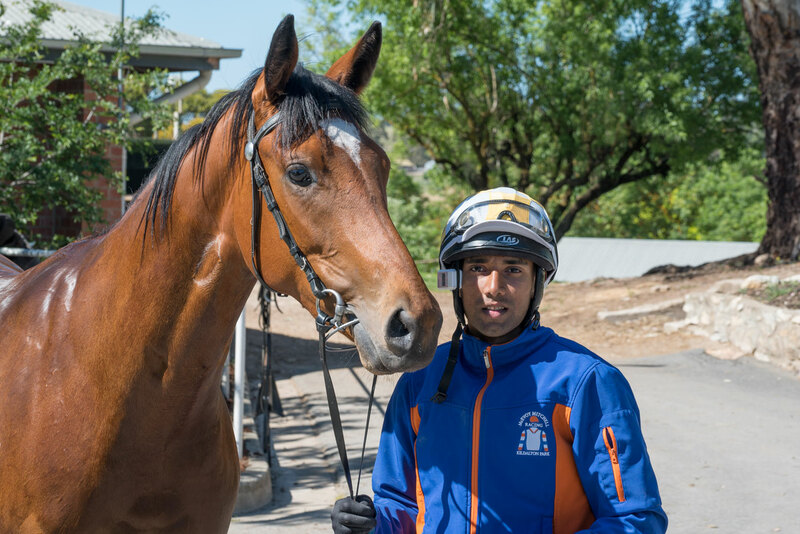 Young Girish Goomany, employed at Kildalton Park, Angaston as a track rider, could be a name to follow in 2019. Girish, 25, came to McEvoy Mitchell Racing from Mauritius after working for seven years, firstly as an apprentice, then fully-fledged jockey. While he is loving his job with McEvoy Mitchell, he is now keen to build a career as a jockey. At his fifth Australian ride, he enjoyed success at Port Lincoln last Sunday leading throughout on $15 chance Nitro Magic. “It was a great thrill, but I think I need a racing manager if I am to develop my career as a jockey,” Goomany said. The young rider’s story is very interesting, and already has won one Group One and two Group 3 races in his home country, his Group One being a Four-Year-Old Derby over 1850 metres. Nitro Magic’s victory was his 46th overall winner and he also the advantage of being able to ride at 52kg. As a young boy, Goomany grew up in central Mauritius but always had a love of horses. “I decided to become an apprentice but because there is no academy in Mauritius, I had to go to South Africa for five years to serve an apprenticeship,” he said. “I returned home and rode for 1-1/2 years before I saw an online advertisement for track riders for McEvoy Mitchell. Goomany used the first six months to learn as much as he could about Australian racing but with the new racing season decided to obtain his jockey’s licence to also ride in races. His first day of race riding was at Jamestown on September 29 where he had three rides for a best finish of third in the Jamestown Cup on Kirchner. His next meeting was at Strathalbyn on October 10 where he had one ride and finished sixth on $101 chance Chic Sale. Goomany didn’t pick up any more rides until a chance call on Saturday, October 27 from Port Lincoln trainer Shylie Williams who could not find a rider for Nitro Magic. Girish had no hesitation accepting the ride despite having to fly across for just the one mount. He made the most of the race jumping out quickly from gate one on the five-year-old mare, rating her perfectly, and holding on for a three-quarter length win. Goomany’s partner has recently arrived in Australia and the couple are renting a property in Nuriootpa. He loves the involvement with the thoroughbreds but admitted he wasn’t keen on the cold weather during winter in the Barossa.